Life, Laughter and Paris: Where Do You Go for Lavender? Where Do You Go for Lavender? 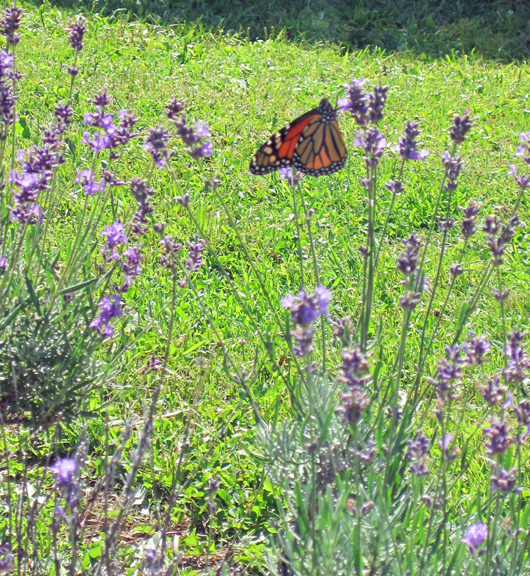 I'm not in Grasse today, and Provence is oh, 4000 miles away, so guess where I was able to enjoy the scent of fresh lavender fields, and experience this amazing colour. 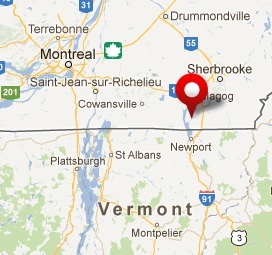 If you said the Eastern Townships of Québec you'd be right. 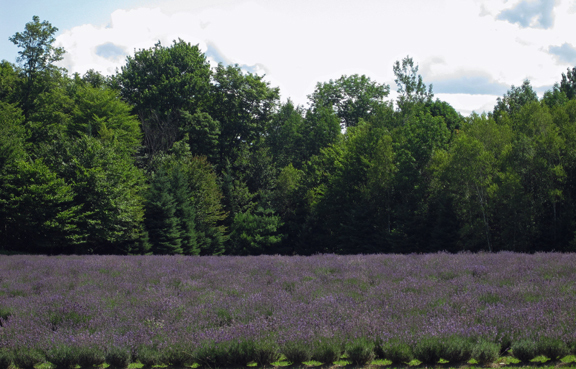 Located in Fitch Bay, 'Bleu Lavande', is the largest lavender farm in Canada and the only Canadian lavender farm with international certification. 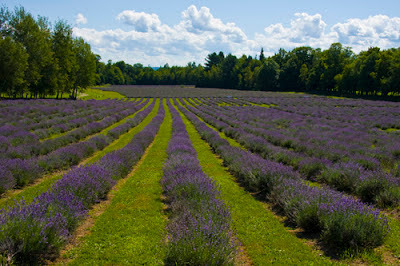 With over 100,000 lavender plants and surrounded by gorgeous landscapes, this is the ideal day trip for Montréalers. Lots and lots and lots of lavender! ........We thought it would be nice to cross the border into Vermont and have lunch in Newport. Sounds easy right? No. First of all the border crossing was painfully slow (for no apparent reason), and our car got "randomly chosen by the computer" to be hauled over and inspected. No problem EXCEPT for the lavender which was confiscated. NO LAVENDER! Fine. The customs inspector said she was going to throw it in the garbage. Uh huh. Next trip we'll skip Newport (which was pretty, but on the sad side - restaurants for rent, shops gone or closed, and few people). Not worth losing our lavender! The Eastern Townships have a lot to offer. So many pretty towns and more exploration is definitely on the agenda!